The Sumner Garden of Rhododendrons is located within the Monte Toyon Camp and Conference Center, up Cathedral Drive in Aptos, adjacent to the Forest of Nisene Marks. The garden is only open a couple of times per year to the general public, usually in the spring, or with an appointment. It is truly an Aptos Gem. The garden was developed by Maurie and Fran Sumner over a period of almost forty years. The Sumners purchased three acres on the border of Monte Toyon Camp in 1959. The garden was surrounded by the camp, and is now a part of it. Maurie and Fran cut down trees, strung deer fence, and built an observation platform. They planted all of the plants themselves. The garden contains a wide variety of Rhododendrons which Fran and Maurie hybridized or collected. The Rhododendrons come from all over the world, including China, Japan, England, Scotland, Australia, New Zealand, and New Guinea. Eight of the hybrids are registered in the World Registry in London. The Friends of Santa Cruz State Parks have announced that they are working with the Advocates for the Forest of Nisene Marks and California State Parks to help keep the dust off the Nisene Marks fire road. Last year the Forest of Nisene Marks Advisory Committee, comprised of the three organizations, worked to fund the re-grading of the fire road from the entrance kiosk to the Steel Bridge, put down 500 tons of new base rock and coated the road with Dust Off. Dust Off is an environmentally safe dust suppression solution. Maintaining the road this summer is projected to cost $14,500, which will be funded by the Advocates and Friends. The Advocates have embarked on a fundraising campaign to help fund the project. To date, the Advocates have raised $3,000. For more information or to make a donation, please visit www.advocatesfnm.org. The Aptos Village Meeting on April 22 was held at the Rio Sands Hotel by the Rio del Mar Beach. It was standing room only, with the room full to its limit, an estimated 150 people. The meeting was headed by 2nd District Supervisor Zach Friend and Mary Gourlay with Barry Swenson Builder. Extensive information was provided by Ron Duncan and Bruce Jaffe from the Soquel Creek Water District, and also Jack Sohriakoff, a senior traffic engineer with the county Public Works department. At the beginning of the meeting, attendees were asked to write their questions down on cards, so they could be asked in an orderly and efficient fashion. Nevertheless, remarks by Friend, Gourlay and the other speakers would be peppered with spicy questions from the crowd throughout the evening. The meeting opened with remarks from Supervisor Friend, who was quick to point out that the purpose of the meeting was not to discuss approval of the Aptos Village project, as it’s an “entitled project.” It has already gone through the entire approval process and was approved in 2012. This meeting was intended as a way to receive public input on some modifications to the initially approved design, which the builder has submitted to the county for approval. Also, the meeting was designed to be a way to publicly discuss what will happen during construction, what will those impacts be, and how the county can communicate to make people’s lives in the area “less miserable” during construction. Also open for discussion were the water, traffic, and public safety impacts of the project. Supervisor Friend explained that when the county initially approved the project, it allowed the builder some room to change a few things around within approved parameters. The county supervisors will be meeting to consider approval of the builder’s proposed “design modifications” at its meeting on May 5th, 2015, and members of the public are certainly welcome to attend. After opening remarks from Supervisor Friend, Mary Gourlay went over a project map and explained what each building is. Considerable time was spent discussing the “design modifications” made to the project since it was initially approved. Barry Swenson Builder has made a copy of the slides from their presentation available in a PDF document. You can download the developer’s slides from their web site here. After the opening remarks by Friend and Gourlay, Supervisor Friend read through the questions that had been collected from the crowd. Many of the questions reflected the community’s concerns around the drought and the project’s water usage, as well as the impacts on traffic – both during construction and forever more. Other questions involved parking, affordable housing, site drainage and runoff, and more. Supervisor Friend brought the meeting to an end a few minutes before 8:00 PM, but he and the other speakers remained after the meeting to answer questions from those who stayed late. More meetings are expected to be held in the future as the project progresses. 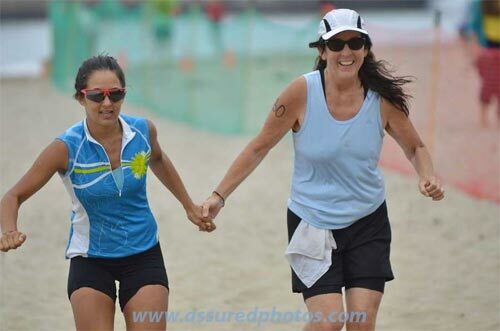 The Sandman Triathlon returns for its 30th year this summer! The Sandman Triathlon is a fundraiser for the Santa Cruz State Parks Lifeguard Association held at Seacliff State Beach. This year, the race will be held on Sunday, August 2nd at 8:00 AM. The Sandman Triathlon is a USAT sanctioned event. It begins with a .75-kilometer ocean swim around the historic SS Palo Alto, followed by a spectacular 13-mile bike ride through redwood forests, Seascape and Rio Del Mar. To top it all off, the race finishes with an strenuous four mile run on the beach. The Sandman is a sprint triathlon and designed to be a super fun and a family friendly event, it is the perfect triathlon experience for athletes that are new to the sport. Registration for the 2015 Sandman is now open on Active.com. Athletes can sign up for the sprint triathlon, a duathlon or the one-mile kids’ fun run. 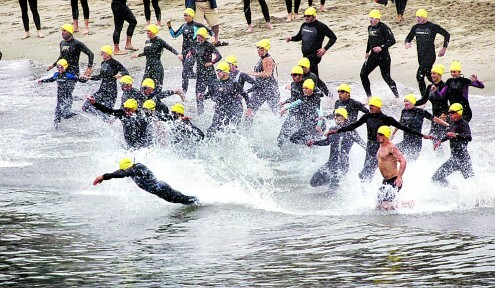 The Sandman Triathlon is one of Santa Cruz County’s oldest triathlons. Its inaugural race occurred way back in 1986 in the infancy of the sport. The Sandman was originally conceived by the Santa Cruz State Parks Lifeguard Association to be a positive Aptos community event that would raise funds for the association, who supports the junior lifeguard and lifeguard operations in Santa Cruz, including providing scholarships for kids from low-income families that otherwise could not afford the cost of the 4-week program. Over the past three decades, thousands of dollars have been raised for the Santa Cruz State Lifeguard Association to help provide high-quality water safety education to hundreds of Santa Cruz County youth. Event #1: Friday, October 17 @ 10 AM: An Expedition Back to the Epicenter in Nisene Marks Park. Participants will be driven by van through Nisene Marks Park to White’s Lagoon for a talk about the earthquake, followed by a three mile hike through the “Crazy Forest” to the area above Aptos Creek that exhibited the most dramatic effects of the Earthquake. Space is limited for this event, and it is expected that it will sell out – so register soon! Event #2: Saturday, October 18, 2014 @ 9 AM: Silver Anniversary Preparedness Fair, to be held at Cabrillo College. This will be a collection of all the latest in disaster preparedness including workshops and displays. This will be a chance for you to review your own personal preparedness, your family’s, your neighborhood’s, and your community. The subjects and workshops will range beyond earthquakes and include flood, tsunami, wildfire, and drought. This is a free event. Event #3: Saturday, October 18 @ 7 PM: A presentation by Gary and Sandy entitled The Lessons of Loma Prieta at 25, to be given at the Forum Building, Cabrillo College Aptos Campus. More information can be found on Sandy Lydon’s Central Coast Secrets web site. The Nisene Marks Marathon is scheduled for Saturday, June 7th 2014. 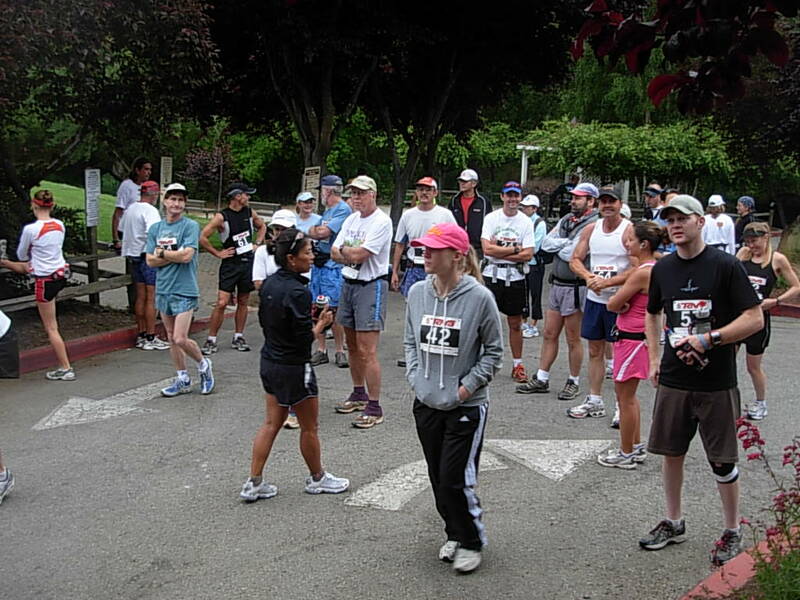 The Nisene Marks Marathon first got started in 1999, and has gone on almost every year since then. It’s actually three races in one – a half marathon, a full marathon, and a 5K race. The full marathon starts at 8:00 AM, the half marathon kicks off at 8:30 AM, and the 5K starts at 9:00 AM. 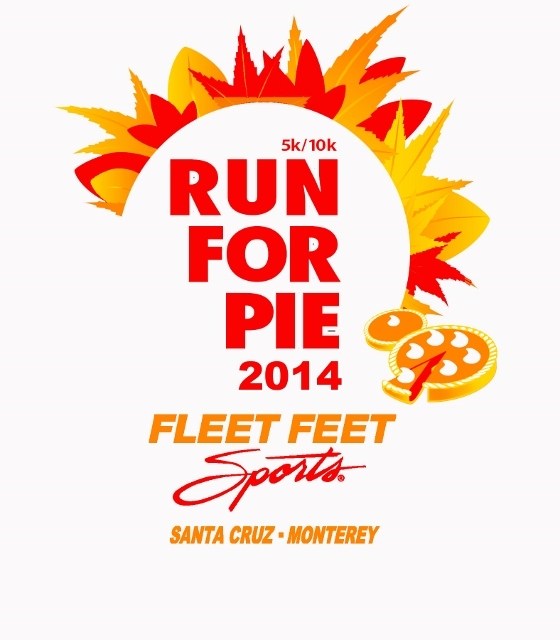 The race is hosted by the Santa Cruz Host Lions Club and the Santa Cruz Track Club. There’s good news today for residents of Mar Vista, Vienna Woods, and Cabrillo College Students! The Cabrillo Connector trail opens today for public use and enjoyment. The creation of the trail has been in the works for 15 years, with Santa Cruz county approving $40,000 for the creation of the trail back in 2012. The trail will allow travel between Cabrillo College and Nisene Marks State Park via an easement over 140 acres of private land. Signs have been posted at Kamian Way and at Mesa Grande Road. There will be a celebratory walk this afternoon, Friday March 28th, at 1 PM at the Kamian Way entrance to the trail – rain or shine!